He giggled as he grabbed the plastic food container out of the recycling bin, but he also gave me a great idea! “Can you find other containers with funny bottoms?” I asked him. We rifled through the bin together pulling out several plastic trays and containers. It’s amazing how many of them have interestingly textured bottoms when you take the time to look! 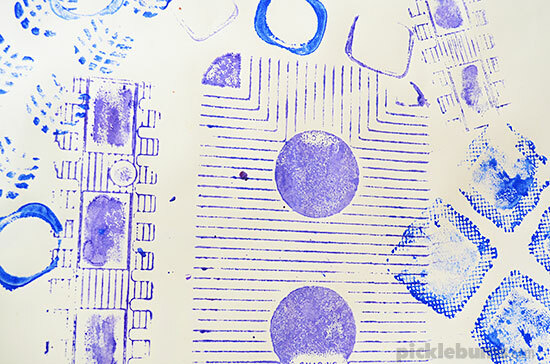 With all the interesting, bumpy, liney, ridgy shaped bottoms, they are perfect for some printing! We found rollers were the easiest way to apply paint to the bumpy surfaces, but you could use a regular paint brush, or try dipping the containers into a large tray of paint. We managed to find containers with lots of interesting textures. 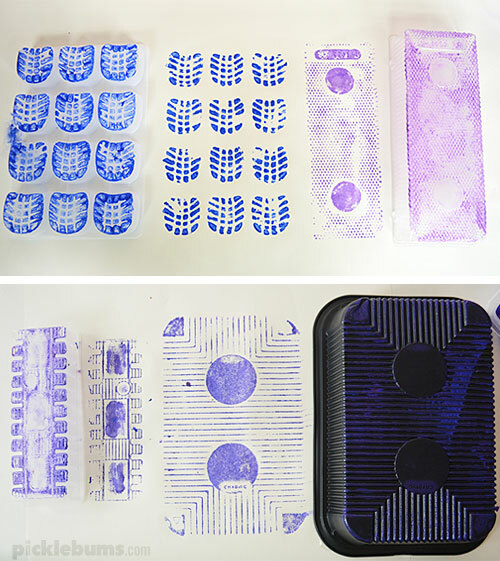 Look for trays with different shaped indents, containers with ridges or lines and even little containers like yogurt tubs make interesting prints. We had success with meat trays, packaging from biscuits and frozen food packaging. 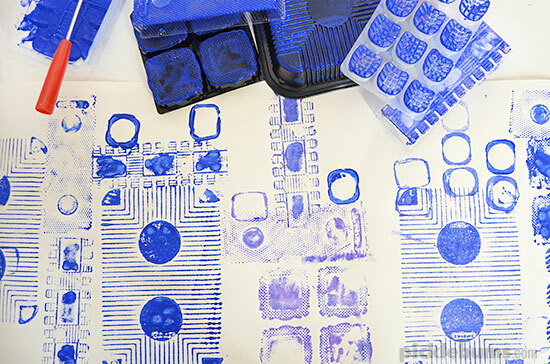 When covered in paint and pressed onto the paper they containers made an array of weird and wonderful printed patterns. Considering the containers are all pretty big we used a BIG sheet of paper to create on. 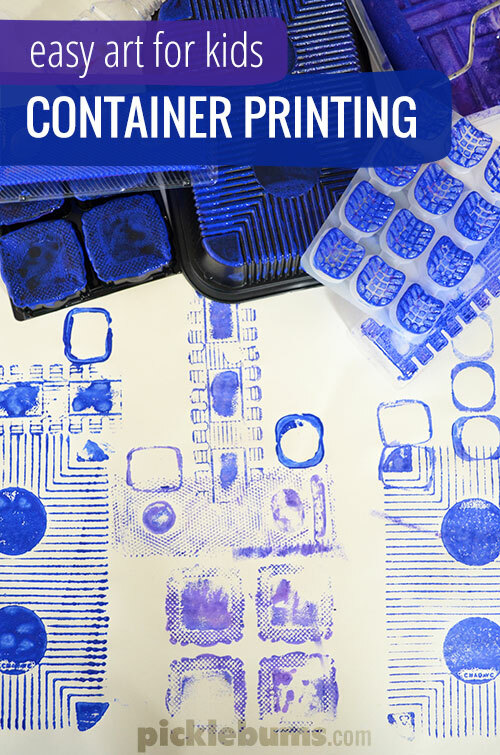 Do you like printing activities? 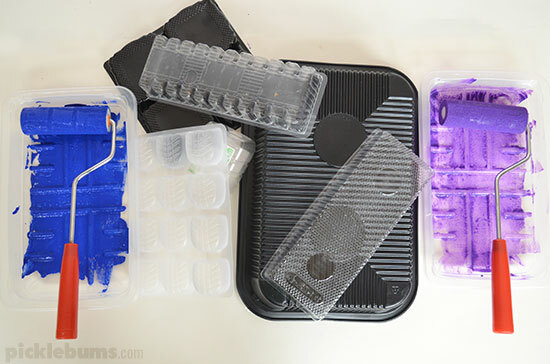 What other things have you printed with? 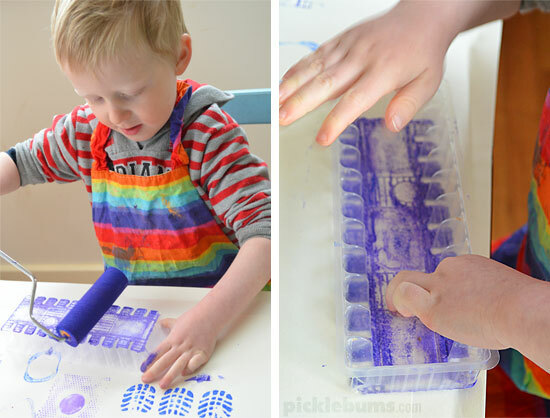 We’ve tried printing with nuts and bolts, sponge printing, printing with duplo, https://picklebums.com/2012/05/08/easy-art-for-kids-string-and-block-printing/, circle printing and even printing with rolled up newspaper! What a great idea. Trust kids to notice something like interesting container bottoms. 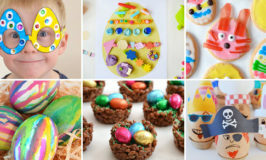 Love this creative painting idea Kate. 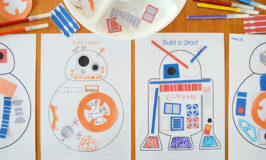 This would make great patterns for wrapping paper… you could start to get a little organised for Xmas or Birthdays AND keep the kiddies entertained! I LOVE THIS!!! 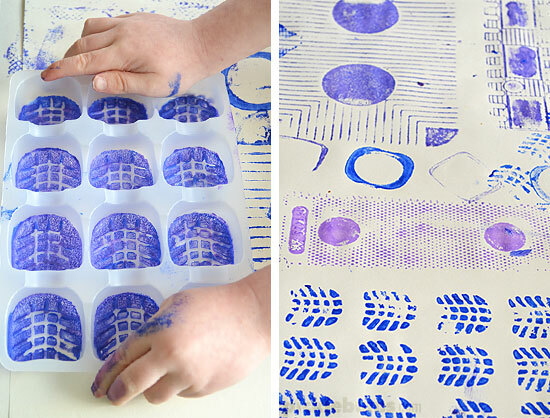 We’ve been having fun with Styrofoam prints so this is right up our alley! Bravo!